We are in the midst of a significant time of transition as a church. We have had several changes in our church’s staff and lay leadership in the last year, and with the recent announcement of my new appointment, I am sure many of you are confused, shocked, and frustrated. I hope in this letter, to communicate a little of what I believe led to this moment in time, and also, to help us begin to celebrate the season of ministry we have shared together. Caitlin and I have known for years we would be heading home to Virginia in our future. I have shared this intent with all of the district superintendents for whom I have served, but it has always felt somewhat distant. During the last year, the climate in our denomination — as many of you know — has felt tense and uncertain at times. After the General Conference in February of this year, I faced doubts and had many concerns about my own future in the United Methodist Church, and what the next few years might look like for our family. Shortly after the General Conference, I had a chance to share some of my concerns with our Bishop, along with other pastors who had similar concerns. During this gathering, I was not told explicitly, but rather perceived, I may be appointed to another church. This was a bit of a shock, and I went home wondering if we were about to have to move again. With all these questions in mind, Caitlin and I prayerfully sought where God may be leading us. A few things became clear. Caitlin and I both felt that if we were about to enter into any season of transition (whether at the local church level or the potential changes in the life of the denomination), we needed to be on more steady ground, and for us that meant moving to Virginia. To be clear, I was never told explicitly in writing or verbally that we would be moved. It was during this time of uncertainty, concern and open questions, that I chose to reach out to the Bishop’s office and share with them: if they thought I may be up for an appointment, we would rather they release us to pursue an appointment in Virginia. We were given approval, and so, we began reaching out, still not knowing what that meant for us here, or if anything would come of it this year or in the future. During this time I was instructed not to inform anyone of this process until we knew the outcome, as is the custom in our conference. It appears clear now after consulting with the DS that the uncertainty about my being moved was unnecessary. However it was that same climate of uncertainty that gave us deeper clarity about going home sooner rather than later. In case folks are curious, no congregation members to my knowledge have requested my move. I also believe there is no one person, other than myself, who is responsible for this decision. To say all of this simply: I found myself in a position of uncertainty and in that space tried to make the best decision to care for my family. As God has allowed us to be part of such a wonderful community here, we have been saddened about the idea of leaving Somerville, as well as leaving Memphis at large. But we also have felt a deepening joy about raising Anna Charis with her family, and about trying to be obedient to the Spirit’s call. That is our hope and anchor. That, in the midst of unknowing, misunderstanding and transition, God is still calling and still on the move. I trust the same God, who calls and redeems, will also continue to make all things new, for Somerville FUMC and for our family as we settle back east. Lastly I want to say thank you. Thank you for your incredible reception of us. Thank you for caring for and praying so earnestly for our daughter, Anna Charis. Thank you for trusting us, during this season of ministry. It has been a gift and privilege to serve this church. My hope is that, in the time we have remaining together, until my last Sunday June 9th, we can continue the good work of clarifying and improving communication, as well as strengthening our ministry areas. Even with a shorter pastorate than any of us expected, I believe that we have listened and followed the Spirits call together. I also believe we have done good work that will be continued and strengthened with the incoming pastoral leadership in Somerville. 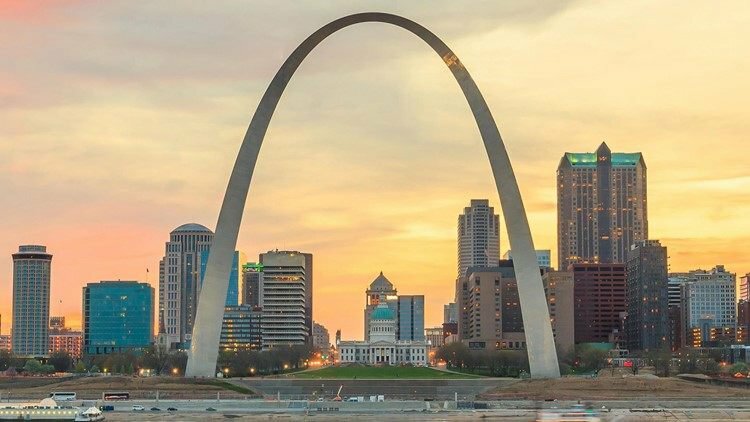 Starting Feb. 23 and ending last night at 6:30pm the United Methodist Church held a special General Conference in St. Louis to discuss the church's stance regarding homosexulaity and how to move forward as a church. Our Discipline since the 70’s has stated that “homosexuality is incompatible with Christian teaching,” and the church has had debate around this official stance every four years. In some ways this special General Conference was an attempt to end the debate. To chart a path forward that will help us move on from this discussion, and focus on the mission of the church: making disciples of Jesus to transform the world. 1) As a church, although we have chosen a plan to move forward with, we are just as divided as before, if not more so. Each significant vote was decided by very small margins (the passing of the Traditional plan with only 56 percent). So yes, our church is moving forward but 44 percent of our church is grieving, probably closer to 60 percent in the United States. A margin of 28 votes would have changed the plan we chose, but the division and the pain in the body would be much the same. 2) It is still unclear as to when this plan and its many amendments will move into full swing, and it remains unclear how much of it will actually be implemented due to many parts of the plan remaining unconstitutional at the time of passing, and still at the conference’s close. We should be getting rulings on these matters from the Judicial council, but that might be as late as April. And the implementation could be as late as January 1 2020. 3) The message I wish to offer up, echoing our Bishop in the Memphis and Tennessee conferences is that we still have work to do. The world did not stop last night as the gavel rang out. Our churches still go on. Sermons will be preached, Sunday Schools taught, and children will be loved in our churches. We in Somerville have so many exciting things going on, and new initiatives that will help us communicate the gospel in our church and in our community. 4) Lastly, I’d like to let you all know I’ll do what I can to update the church as to the process of implementation of all the legislation that was passed, and the rulings from the council as they come. In the meantime, let's get to work. And let us all remember that even our church was divided over this issue, and let's be sure to be mindful of our brothers and sisters of the LGBTQ community and their allies who are hurting as a result of the General Conference’s decision. Regardless of our own stance or opinion on the matter, we do have a responsibility to hold each other in prayer. Pray for our local church, pray for the church in America, and pray for our global denomination. Finally, may we follow Jesus, and be compassionate as our God is compassionate. That's really the only way forward for any of us.